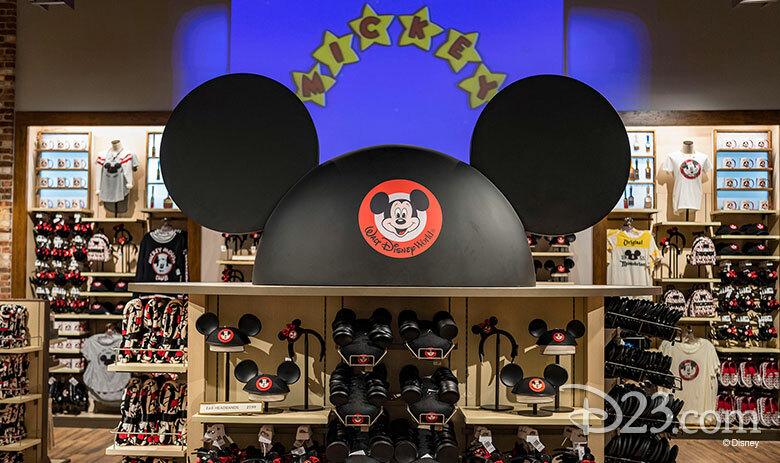 Every trip to Disneyland is full of magical memories, and since it opened 2001, we’ve counted on the World of Disney store in Downtown Disney to be our one-stop shop for the perfect souvenirs to honor our most magical vacations. 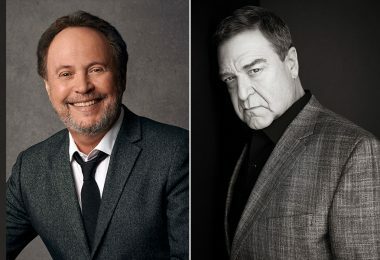 Now, this trusty store—and its counterpart in Florida—have been transformed into stunning reimagined locations enriched with new history tied to the legacy of The Walt Disney Company and Walt’s journey through California. 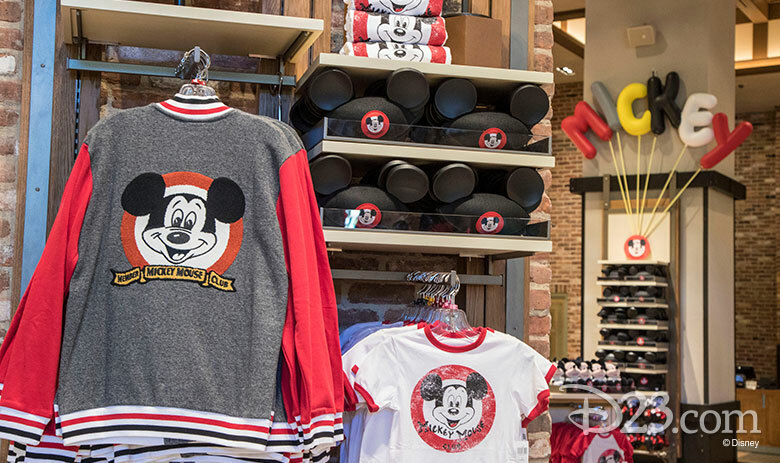 The next time you’re browsing through the vintage-inspired Mickey Mouse Club Collection or if you’re picking out the perfect Mickey Ear Hat to #ShareYourEars, make sure to take some time to discover the small touches that hint at the store’s new backstory. Let’s take a look at Disney’s Grand Californian Hotel and Spa, which was inspired by California Craftsman architecture made popular during the Arts and Crafts movement of the late 19th and early 20th centuries. 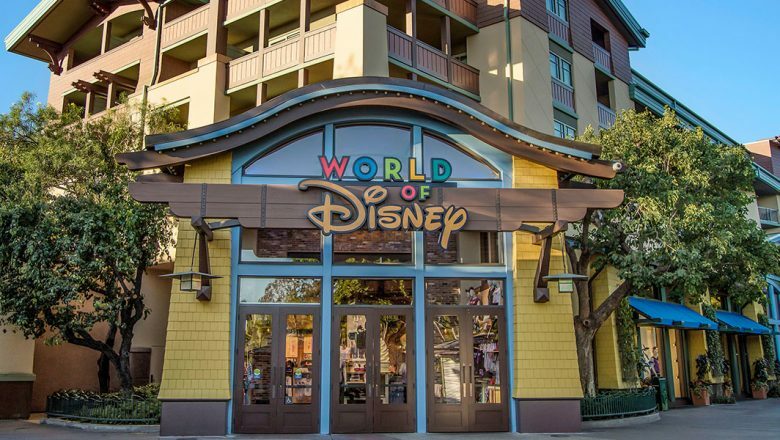 Now, imagine the new World of Disney store as a bus depot where hotel guests would begin their journeys—in much the same way that guests begin their adventures when they leave the Grand Californian to stroll into Disneyland park or Disney California Adventure. Of course, this store isn’t a bus stop, but sharp-eyed guests may spot “ghost art” hinting at the store’s past. If you look up, you might notice faded advertising banners encouraging you to “Adventure Through California!” Fans of Walt Disney Imagineering may even spot an ad for the 1401 Series Luxury Coaches, a reference to Imagineering’s street address, which has popped up in some other parts of Disneyland, as well. 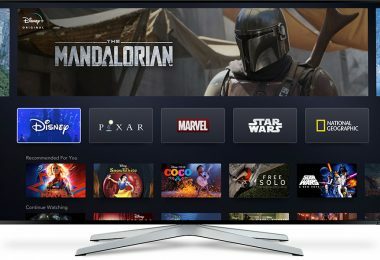 The next part of the World of Disney’s reimagined story has an extra sprinkle of pixie dust. 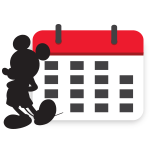 In this imagined history, Walt Disney expanded his animation studio beyond the famous location in Burbank to both Downtown Disney and Walt Disney World’s Disney Springs. While both World of Disney stores are obviously not animation studios anymore, they are still very animated. Take a look at the paint jars lining the wall behind a register—you might notice some colorful magic happening that causes the surrounding wall art to come to life! In the new story, both animation studios closed in 1989 with the opening of Disney’s Hollywood Studios (then called “Disney-MGM Studios”), where a real-life animation studio was based in the park, producing some of our favorite Disney films including Lilo & Stitch and Mulan. 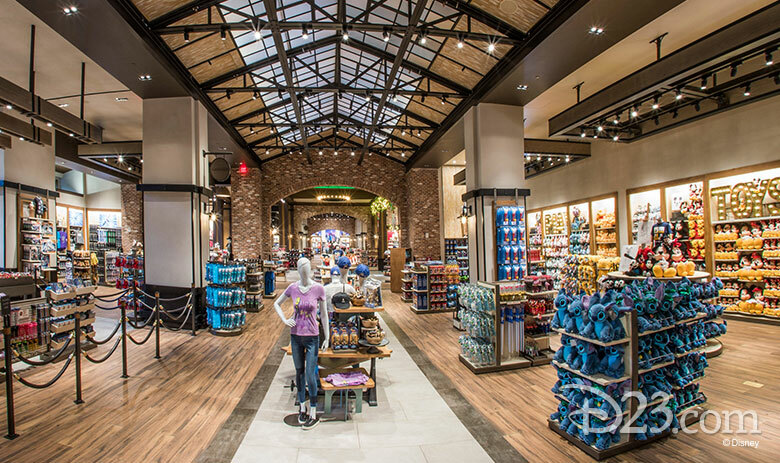 Later World of Disney stores opened at both locations, hiding all the animated magic hidden behind drywall—until this year’s reimagining, when all the depot brickwork and animation paraphernalia were revealed. Both World of Disney stores are full of hidden secrets and Easter eggs that help tell this enchanting imagined story to guests who are willing to look. While you’re waiting to ring up your latest purchases—(Might we recommend the new Disney attractions-themed Spirit Jerseys? It’s so hard to pick just one to take home! )—you might take a look at the new cashier desks—does that artwork look familiar? 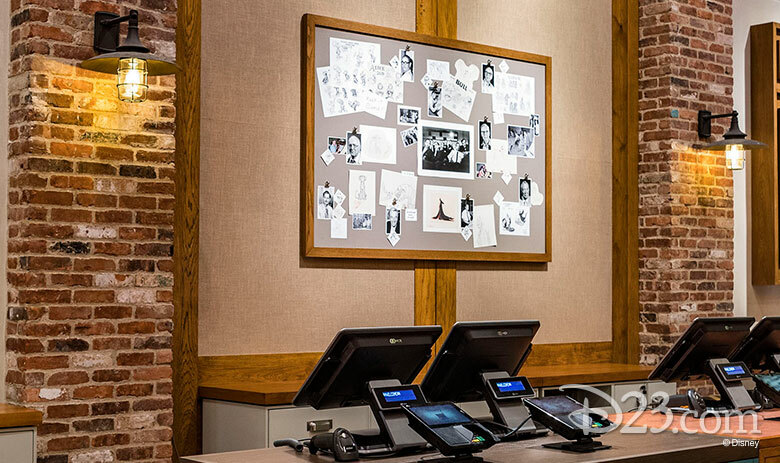 As the newly imagined story goes, the cashier desks are repurposed desks from the Nine Old Men themselves, including reproductions of actual sketches from the Animation Research Library. Can you figure out which desk belongs to which animator? Behind one of the cashier stations is a large bulletin board dedicated to the Nine Old Men—can you spot caricatures of each of them? 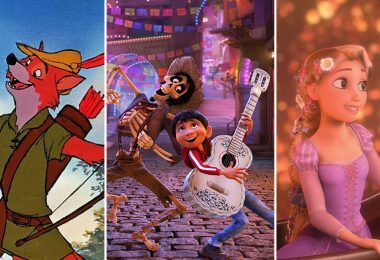 Plus, there are snippets of animation advice for any aspiring animators out there looking for tips and tricks from an array of Disney Legends. Finally, no, your eyes aren’t deceiving you! The artwork on the walls is, in fact, coming to life before your eyes. 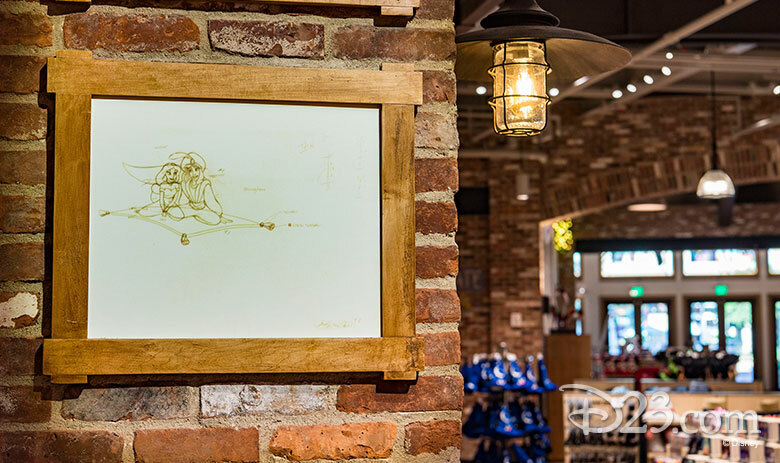 Using reproductions of actual Nine Old Men pencil sketches, these amazing art pieces will wow any fan of Disney films. What other Easter eggs can you spot that hint at the imagined history of the stores?